With the Olympics in full swing we have sports, sports, and more sports on our brain. This has brought up a lot of office conversations about what the athletes endure to make it this far in their respective fields. We wanted to share the biggest correlations between athletes and a successful interviewee that we seem to agree on which is practice, practice, practice. Preparing for the interview is just like preparing for the ‘big game’. You practice, scrimmage and practice some more. Practice not only improves your game but it helps to prepare you for different scenarios. 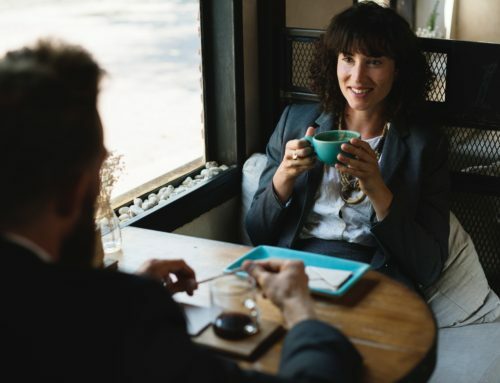 We love our definitive list of 20 interview tips but when prepping for the ‘big interview’ we all agree it comes down to these steps to shoot for gold! If you aren’t going to spend time with #1 then you might as well skip this article – yes it’s that important. Practice as much as possible. If you have a phone interview coming up have one of your friends call you and ask a few questions. It will get you comfortable talking professionally on the phone and figure out the dynamics of when to listen and when to answer questions. Then do the same thing for an in person interview. Put on a suit, go to a coffee shop, have a friend pretend to interview you so you can prepare for the questions you will most likely have to answer. For example: Where do you want to be in 5 years? What do you know about our company? What do you bring to this role? There are plenty of generic interview questions that you can practice with to get you comfortable talking about yourself and your skills. Don’t take practice for granted! There is nothing worse than having an interviewer ask a specific question and not having an answer. Especially when it has to do with the company or role you are interviewing for. To make sure you avoid that type of awkward interaction do your research before the interview! And I don’t mean just a quick scan of their website and social media profiles. Read about their service, products and process to understand what they do and be able to talk about it intelligently. Not only research the company but look at employee profiles on Linkedin and other social media sites. Do you have anyone or anything in common? Their social media posts will give you a behind the scenes view. The more information you know going in the more comfortable you become and more specific your questions and answers can be. Remember you are interviewing them as well. We live in a world where our phone is within reach, if not on our person. As I type this my phone is sitting within 6 inches of my keyboard. We carry a cell phone wherever we go and it’s considered normal. What most people do when they go into an interview is turn it on vibrate or on silent. While that is OK – it still allows for possible interruption during the interview – severe weather alerts, an alarm you forgot about or another app causing a disruption. The better option is to simply turn it off until you are completed with the interview. Or if you think you’ll still be tempted to turn it back on when waiting for the interview or before you leave the building – just leave it in the car. That way there is a 0% chance of it negatively impacting your interview. Always plan to arrive early to an interview, leave time for traffic, for a crazy thunderstorm that knocks down trees on the interstate, and for a possible alien abductions that may leave abandoned cars on the side of the road. Just because you arrive 45 minutes early to the interview location does not mean you go into the building that early! For some hiring mangers arriving too early can be see as inconsiderate. If you are in Philadelphia, like us, and taking Regional Rail from one of the outlying counties into Philadelphia plan to get into the city early. You can then kill time at a coffee shop and do last minute preparations for the interview. May we suggest La Colombe in Dilworth Plaza? It’s one of our favorites. The going consensus on the internet is – you only have 7 seconds to make a good first impression. 7 seconds! Everyone you meet will make have an impression about a myriad of facets about you, your personality, your competency, your potential, based on the first 7 seconds of interaction. Make sure you put their mind at ease and make those 7 seconds count. Assume you are being interviewed by everyone in the company starting at the door! Smiling is important and contagious. It helps the interviewer to know that you are comfortable and enjoying your experience. A lack of smiling can be seen as a negative. So relax, be yourself, and smile. Side note, you don’t want to be so focused on smiling that you come off as creepy, it is all about balance. Eye contact is vital to any conversation – it shows engagement and respect to the person speaking and listening. You can tell a lot from someone by looking them in the eyes. Interviewers see it as a negative if you are reluctant or unable to keep eye contact during a conversation. Just like smiling, keep a balance of eye contact – it’s not a staring contest. Everything is digital now. You apply online or from your phone. During the interview paper is still king. Always keep multiple copies of your resume on hand for interviews – especially if someone is added to the interview at a last minute and has not yet seen your credentials. It shows that you are prepared. If you need help with your resume – we have great resume building tips on our blog. Most important is make sure you have the same version of your resume when you applied. In today’s job market it is common practice to have multiple copies of your resume – just keep track. People are visual. The resume you hand over is a visual representation of you from the paper selection to formatting to any imperfections. It can be difficult to answer questions like “Why are you looking to leave your current role/company” without bad mouthing your current situation. Negative talk will get you nowhere – trust us. You want to be honest about your situation. If conditions are less than ideal you can explain that but you don’t want to come off as negative or a complainer. Don’t forget the world is a small place, you never know what connections your interviewer might have to your current company or superiors. This has become a less common practice post interview. The good news it doesn’t take much time or effort to write out a nice ‘thank you for your time’ email. 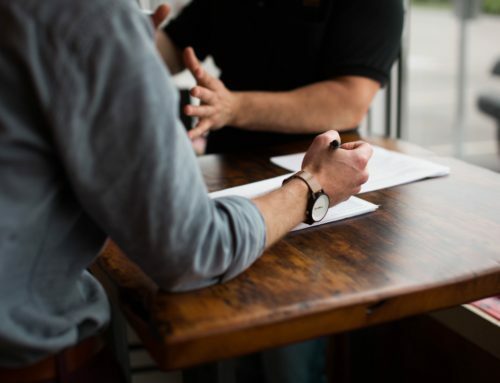 Not only is it courteous but it gives you a chance to reinforce your interest and clarify something that was brought up during the interview. Most important – keep it short! If you really want them to notice – send a hand written note. Also short and sweet! More often than not when you leave an interview you have the interviewers business card with their email and address. There you have it 10 simple tips to make sure you have the best interview experience pre-interview, interview and post-interview possible. Keep in mind these tips won’t guarantee you get the job, but they will make sure you leave a positive lasting impression. If you want to check out some of the other in depth blogs we’ve done about interviewing check out this link.